(Newser) – You don't mess with Jack White's guacamole. White performed at the University of Oklahoma Monday, and campus newspaper the Oklahoma Daily published the details of his concert rider this week—the rider included, among other things, the exact recipe to be used for the guacamole White's team wanted served backstage. It's nothing shocking (the ingredients are about what you'd expect, though the instructions do include lines like "we want it chunky" and "SAVE THE PITS THOUGH"), but apparently White's talent company was none too happy with the article: William Morris Endeavor Entertainment told the Daily it has blacklisted OU, and won't book any other performers at the school because of the "mocking" article. "OU is basically getting blackballed as a place that’s not welcoming to outside talent," says the Campus Activities Council chairperson. 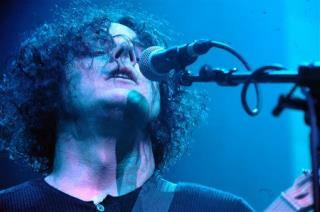 Love Jack White's music, but he would make a good fascist. It's public information involving public money. He should celebrate the freedom of the press rather than pouting about it. Union Programming Board and Lloyd Noble books thousands of events per year. This was small potatoes and the rant of a single "talent" will not affect anything. I saw Joan Jett for the first time at Noble. Its a good venue and it will always attract outside groups. Many of the events are paid for from the student activity fund. No act worth its salt will turn down 10,000 screaming college kids even if their management are tools.